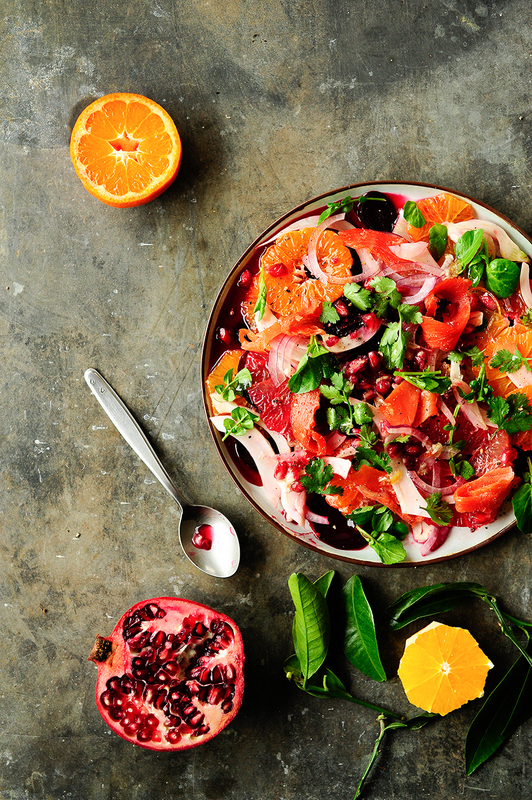 This citrus salad is full of colors, tastes and vitamins. 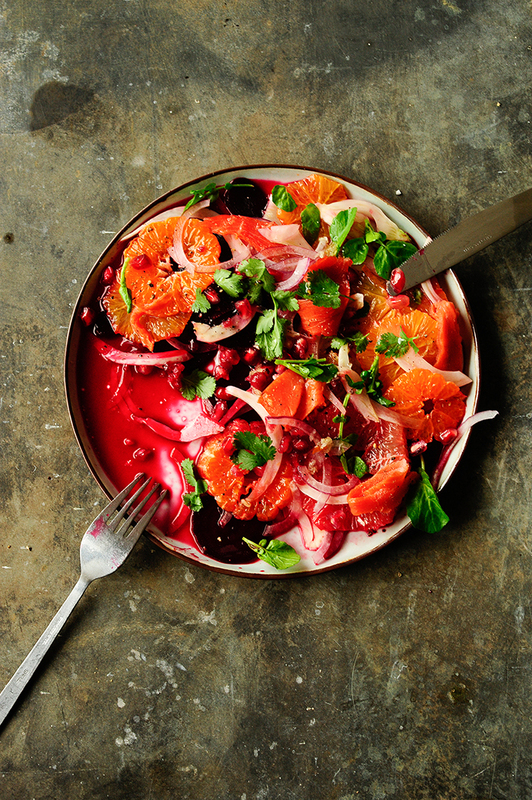 It has a great contrast of textures between the juicy oranges and grapefruit, soft, roasted beets and crispy fennel. I added smoked salmon, pomegranate seeds and watercress, also enriched the salad with coriander and honey vinaigrette with fresh ginger and garlic. Serve it as a light dinner or a side dish with meat or fish. Wash the beets, put them on a baking sheet and bake for 40 minutes at 180 degrees. Cool, peel and cut into slices. Peel the grapefruit, orange and tangerines, then cut into slices. Slice the fennel and red onion. Make the vinaigrette; mix the oil with honey and lime juice. Add ginger and squeeze out the garlic. Arrange the beets, citrus fruit, fennel and onion on the plates. Garnish with salmon, watercress and cilantro. Pour the vinaigrette and sprinkle with pomegranate seeds. Season with sea salt and freshly ground black pepper.